View all three types of bacteria individually, then compare their different structures, with the selection of specimens in this set. 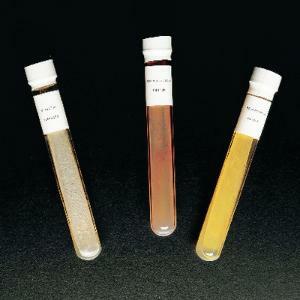 Tube cultures: Bacillus subtilis (rod), Rhodospirillum rubrum (spirillum), and Kocuria rhizophila (coccus). The set of three is available with or without an Explano-Mount, which is a microscope slide with an illustrated guide that highlights all the important information on the slide and the Working with Bacteria manual. Set of three.